To Xi Jinping’s growing list of titles as Chairman of Everything, add one more: Storyteller-in-Chief. In the five years since he became general secretary of the Chinese Communist Party in November 2012, Xi has authored no less than four books, including The Governance of China (the tome on his ruling vision that Facebook’s Mark Zuckerberg made such a show of placing on his desk), Up and Out of Poverty (a collection of his writings through the 1990s), The Chinese Dream and the Great Rejuvenation of the Chinese Nation (which helps readers “come to understand the true nature of the Chinese Dream“), and the tenderly titled Knowing Deeply: Loving Keenly (a book of his writings from the early 1980s). Search up Xi Jinping on Amazon and you’ll find scores of other published volumes of his “important speeches.” Perhaps the most entertaining is a volume commemorating, just in the nick of time, the 2,565th birthday of Confucius. Knowing Deeply: Loving Keenly, a collection of Xi Jinping’s speeches and writings from the 1980s. But what distinguishes Xi Jinping, or so we are told, from the wooden general secretaries of the recent past, is his gift and penchant for the telling of stories. Telling stories well has been a common characteristic of celebrated statesmen and thinkers in China and beyond since ancient times — and it is a clear characteristic of General Secretary Xi Jinping’s leadership style. Whether in his conference addresses, in conversation during his inspection tours, in his speeches during his overseas visits, or in his printed articles, he proves to be adept in using stories to convey deeper meanings and to move people. Woven through these stories is the tao (way) of Chinese history and culture, the tao of Chinese reform and development, the tao of Chinese participation in global governance. They convey the general secretary’s profound thoughts on internal and foreign affairs, on national security, on the governance of the Party, the nation and the military. They are concrete and vivid, relatable and profound, opening a window on the study of the spirit of [Xi’s] series of important speeches. Xi has said repeatedly that “telling stories is the best form of international dissemination” when it comes to telegraphing China’s messages to the world. So how are Xi Jinping’s stories faring beyond the captive audience of his own state media, and those fellow statesmen whose job it is to be obsequious? While the “going out” of Chinese media and Chinese publishing remains an important priority for officials, much of it now wrapped up in the idea of “One Belt, One Road,” there is little evidence that foreign audiences are buying — off the bookshelves, anyway — this line about Xi and the profundity of his visions. Despite the endorsement by Mark Zuckerberg, the English-language edition of Xi’s The Governance of China is ranked #220,000 among books at Amazon; that compares, just consider, to a #107,391 ranking for Minxin Pei’s latest, China’s Crony Capitalism: The Dynamics of Regime Decay. China Daily, published by the Information Office of the State Council, dusts off the Reslan blood donation story earlier this year. As for those engaging yarns that we are told animate Xi’s “important speeches,” they tend to be played up by Chinese state media alone. One oft-cited example, noted by Caixin two years ago in a piece on the president’s storytelling chops, came in a speech at Kazakhstan’s Nazarbayev University in 2013. 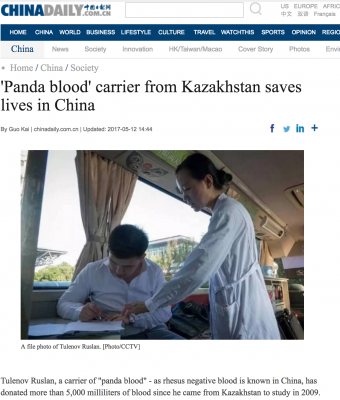 It was the story of Tulenov Ruslan, an exchange student from Kazakhstan who was said to have donated five liters of blood in China (not all at once, thankfully) after learning that his relatively scarce blood type, rhesus negative (known in Chinese as “panda blood”), was in urgent need. Ruslan’s sacrifice for the sake of the Chinese people was amplified across the various foreign channels of China Daily and Xinhua News Agency. But it appeared nowhere else. As for “using stories to convey deeper meanings,” we might inquire what message Xi Jinping’s story of Kazakhstan blood sacrifice is supposed to convey. Couldn’t the “panda blood” story actually come across as a crass yarn about China’s demand for Kazakh oil and gas, implying that China’s continued economic well-being requires that it sap Central Asia of its precious resources? The problem with parables, you see, is that their meanings have to translate. Which brings me to another core question when it comes to Xi Jinping’s visibility as a global storyteller: Who is it that translates, prints and distributes the general secretary’s stories outside of China? And when this does happen, is it a matter of appeal, or a matter of pulling strings? In fact, if we dig a bit deeper into state media coverage of the president’s latest collection, Xi Jinping Tells A Story, we find interesting backstories that make the international release of the general secretary’s profound stories seem a great deal more like vanity publishing on a grand scale. Xi Jinping Tells A Story has recently been back in the headlines. 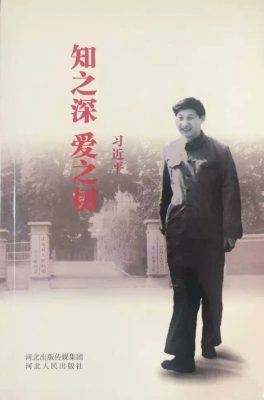 The People’s Daily reported on the front page of its September 19 edition that close to 1.5 million copies of the book had been distributed, and that it had been “widely praised.” The praise, in fact, was a familiar rehashing of the kudos Xi received back in June. Xu Jiong (徐炯), a press control official in Shanghai, echoed the remarks of publisher Yang Zhenwu, saying Xi’s book deftly used storytelling to convey “the way,” or tao, of Chinese development. “A single story can beat out a dozen arguments,” she said. Finally, the People’s Daily noted that as soon as the book had been released, “the renowned international publisher Springer contacted the People’s Publishing House wanting to buy world English rights for the book.” Springer Nature confirmed in an e-mail to CMP that they “have signed a letter of intent with the People’s Publishing House,” but could not offer further details. But Russian and Japanese versions were also touted by Chinese state media as examples of the book’s broad appeal. At a public signing ceremony two years ago, Duan and his press obtained the Japanese rights to a series of Chinese-language books including The Eastern Battlefield (东方主战场), an edited volume accompanying an official China Central Television documentary commemorating the 70th anniversary of the victory against fascism, and How the CCP Makes Progress — both books published by New World Press (新世界出版社), a division of China International Publishing Group (CIPG), the central-level publisher responsible for the overseas distribution of Party and government publications as part of its overseas propaganda efforts. 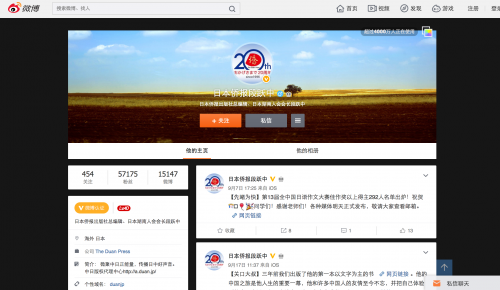 The Chinese-language website for Duan Press is full of articles from Xinhua News Agency and the People’s Daily about recent Japanese releases, and interviewing Duan about his work promoting China’s voice in Japan. Duan is apparently getting a lot of attention for its release of Chinese books onto the Japanese market — but this attention is coming almost exclusively from the familiar Chinese state media outfits, which makes this look very much like an inside job. Russia is another interesting case of apparent self-dealing. 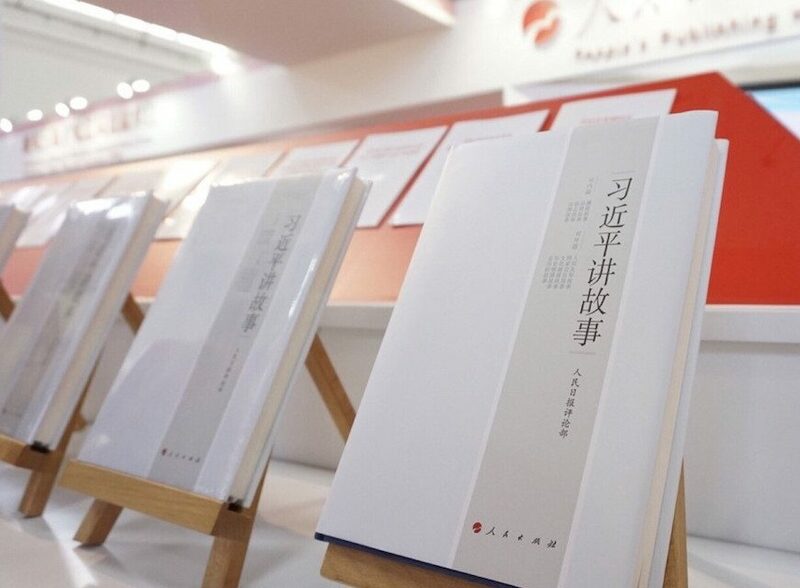 At the Beijing International Book Fair (BIBF) in August, a signing ceremony for the foreign editions of Xi Jinping Tells a Story was held in the exhibition area of the People’s Publishing House, and it was announced that the Russian edition of Xi’s book would be published by Chance International Group (尚斯国际集团). 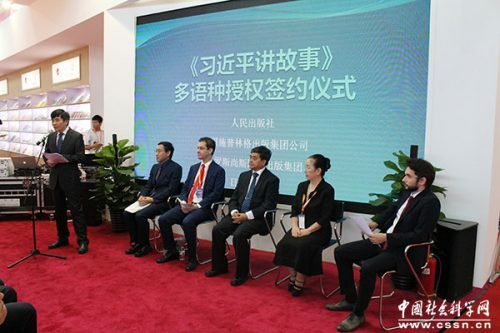 Roman Gerasimov (far right) attends the signing ceremony for the Russian rights to Xi Jinping Tells a Story at the Beijing International Book Fair. Chance, in fact, was quite active at this year’s BIBF, its general manager, Roman Gerasimov (the guy with the dark beard), attending several signing events at the fair. There was the signing of the deal over Xi Jinping Tells a Story, and with Beijing Publishing House signing of Russian-language rights to In the Name of the People, the book produced from the 55-episode hit propaganda series on the anti-graft drive orchestrated by the Central Commission for Discipline Inspection (and which television regulators praised as a must-see propaganda flick ahead of this fall’s 19th National Congress of the CCP.) The book was also cited by state media as a bright point of success in the strategy of “going out” for Chinese publishing. Finally, with Joint Publishing, Chance signed a deal for the Russian edition of a book about the Analects by Beijing Normal University professor Yu Dan (于丹). 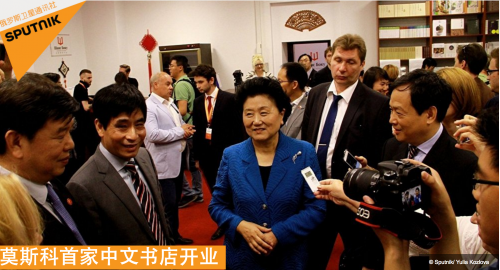 During the BIBF events, Gerasimov, which Chinese state media variously called editor-in-chief and general manager of “the Russian publisher Chance International Group,” was a visible representative of Russian interest — and no doubt his face, so suitably foreign, was a welcome addition to signing panels advertising the foreign appeal of Chinese books. But to call Chance a “Russian publisher” is to gloss over a very colorful story — and, as I advertised from the beginning, this piece is about colorful stories. The transition came in 2013. That year, General Secretary Xi Jinping raised his call for “One Belt, One Road.” Very quickly, as this call deepened in the countries and regions of the Silk Road, demand started for Chinese books just as for Chinese manufacturing, and the market was opened overseas. At that time, the demand for Chinese books overseas started to increase. 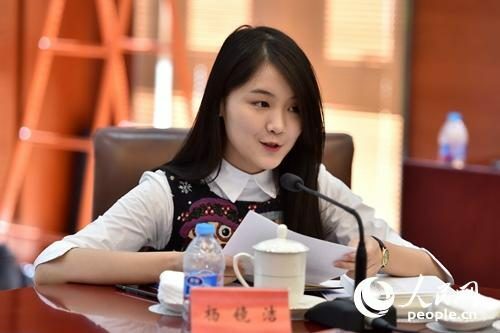 Publishing houses back home, says Mu Ping, started seeking them out, and business picked up. Today is the 20th anniversary of the strategic partnership between China and Russia, and the 15th anniversary of the signing of the Sino-Russian Friendship Treaty. And so, on this day to remember, the opening of the first Chinese bookstore in Russia is also cause for celebration. 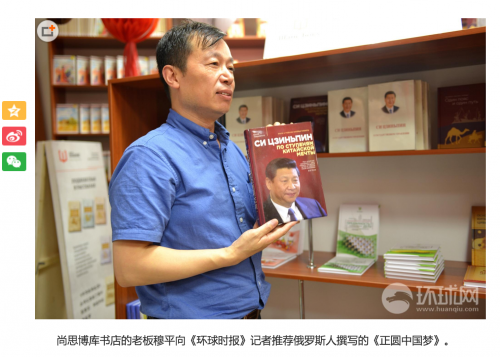 Back in July this year, the Global Times ran a photo profile of Chance founder Mu Ping, giving every impression this was a bootstrap story about a guy who just wanted to open a bookshop, never mind his backing from a powerful state publishing enterprise. 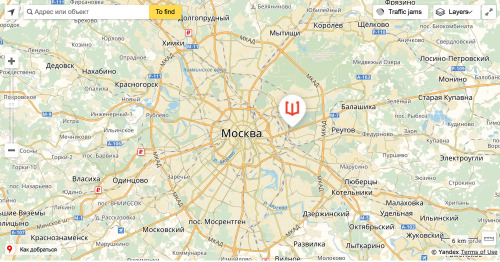 Screenshot of Global Times coverage of the Chance bookstore in Moscow, showing founder and owner Mu Ping. Mu was pictured holding holding up Russian writer Yuri Tavrovsky’s 2015 monograph about Xi Jinping, a book so uncritical in its portrayal that its Chinese-language edition was snatched up by none other than the publishing house run by the CCP’s Central Party School — as was, incidentally, Tavrovsky’s more recent book on “One Belt, One Road.” The shelves behind Mu Ping, meanwhile, were stocked with Russian editions of Xi’s The Governance of China. I suspect that as China’s official story, and Xi Jinping’s copious works, fan out over the “New Silk Road,” there will be many such stories from Xinhua News Agency, China Daily and the Global Times about the “Russian,” “Hungarian” or “Latvian” publishers who have snatched up the publishing rights. What an interesting fable indeed. And there must, surely, be a moral in there somewhere.